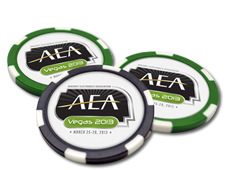 The AEA Educational Foundation’s Silent Auction takes place during the 55th annual AEA International Convention and Trade Show, April 3-6, 2012, and is the main fundraising activity for AEA’s outreach and education efforts. The AEA Educational Foundation administers the largest scholarship campaign for avionics and aircraft maintenance technicians and provides technical training opportunities for AEA members. These initiatives need ongoing support. Your contribution to the silent auction will not only give your company great exposure at the show, it will help ensure the future of the Foundation and its initiatives. All proceeds from the auction will benefit the AEA Educational Foundation. Packaging and shipping instructions will be sent prior to the show. Your company will be recognized during the convention, in the convention program, and in pre- and post-show publicity. We ask that your donation be new or historical in nature.